iWalk's universal power bank, the Scorpion with 8,000mAh is now in available in the Philippines via Shopee. 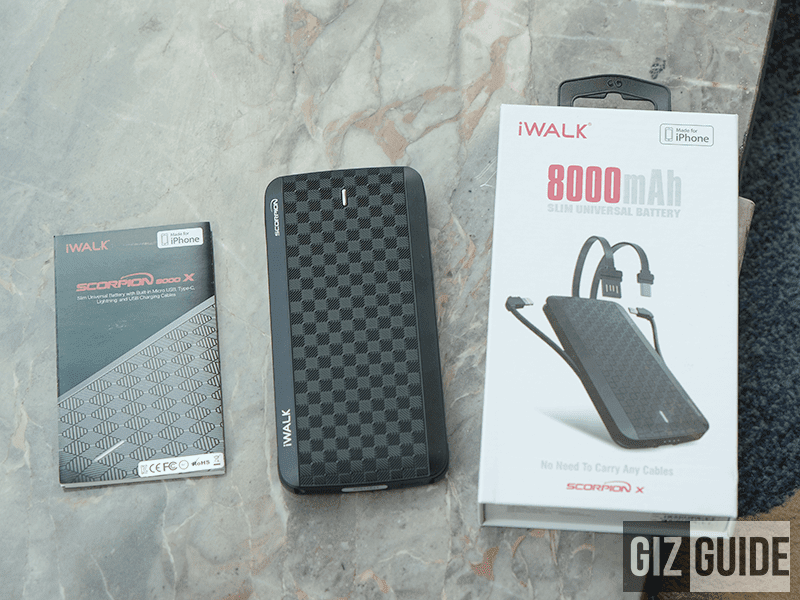 Related: iWalk Scorpion 8,000mAh (UBT 8000X) Review - NO MORE EXTRA CABLES! The iWalk Scorpion 8,000mAh an interesting slim type power bank with built-in cables, pass-through technology, and battery indicator. The built-in cables included are the USB Type-C cable with rapid charge support, recharging reversible USB Type-A cable with up to 2.4A support, lightning cable for Apple devices, and the regular micro USB charging cable. It also allows simultaneous charging so you can charge multiple devices at the same time. 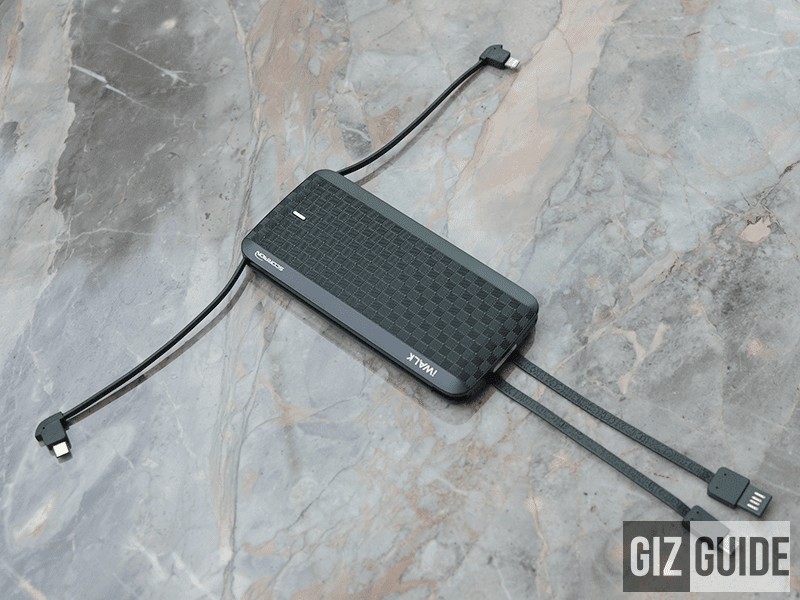 Most likely, this can charge our Huawei P20 Pro and Samsung Galaxy Note9 with 4,000mAh of battery for up to 2x. It can also charge the iPhone X for almost 3x. The best feature of the iWalk Scorpion is you won't need to attach extra cables or borrow cables just to use the power bank. The power bank is priced at PHP 2,299. They also have a universal wireless power bank priced at PHP 2,999 and a bigger Scorpion power bank with 12,000mAh capacity for PHP 2,999. You may check iWalk's official Shopee PH page for their other products.